Less than an hour away from the cultural and performance hubs of New York City and Philadelphia, the Music Department at Mason Gross School of the Arts is committed to developing professional musicians with a complex historical and theoretical understanding of all aspects of music with Bachelor of Music undergraduate concentrations in composition, jazz, music education and performance. Founded in 1976, Mason Gross School of the Arts is the arts conservatory of Rutgers, The State University of New Jersey and home to the departments of dance, music, theater, and visual arts. The school’s enrollment of 729 undergraduates and 322 graduate students across four departments, combined with a faculty of 224, ensures students the opportunity to work closely with accomplished artists within their fields. Conservatory within a University: Established in 1766, Rutgers, The State University of New Jersey, is America’s eighth oldest institution of higher learning. Home to more than 65,000 students, Rutgers University recently joined the Big Ten and remains one of the nation’s premier public research universities. 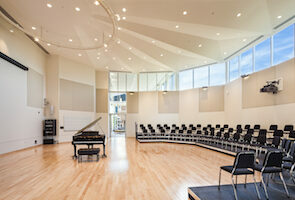 Mason Gross students benefit from attending a small conservatory while still at a large public research university. 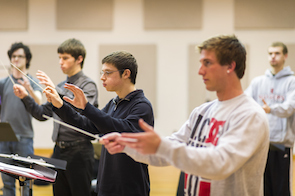 Low Student to Faculty Ratio: The Music Department at Mason Gross boasts a faculty of 30 full-time and approximately 70 part-time members. The faculty includes active members of the New York Philharmonic, Philadelphia Orchestra, Metropolitan Opera Orchestra, New Jersey Symphony Orchestra, and the New York City Opera. With a student to faculty ratio of 4:1 Mason Gross students are truly receiving an individualized education. Performance Opportunities: Performance opportunities abound at Mason Gross, presenting more than 300 concerts, recitals and lectures every year. Students can perform with one or many of our wind bands, choral, opera, chamber, early music, percussion, new music and orchestral ensembles. There are several excellent concert halls on campus and students may also perform in professional venues in New York City. At Mason Gross, students don’t merely theorize about art—they make art. They are well educated and passionate creators. Going for a music audition? Mason Gross musicians/professors and undergraduate music students provide advice and insight about remaining cool and confident when it’s your turn to take the stage. Please send me more information about scholarships, applications, and auditions for music students at Mason Gross School of the Arts at Rutgers University. 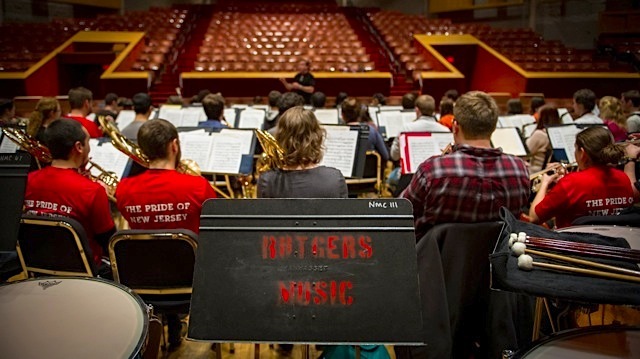 Your name and email address are held in strictest confidence by MajoringInMusic.com and Mason Gross School of the Arts at Rutgers University ... they will not be shared with anyone else.